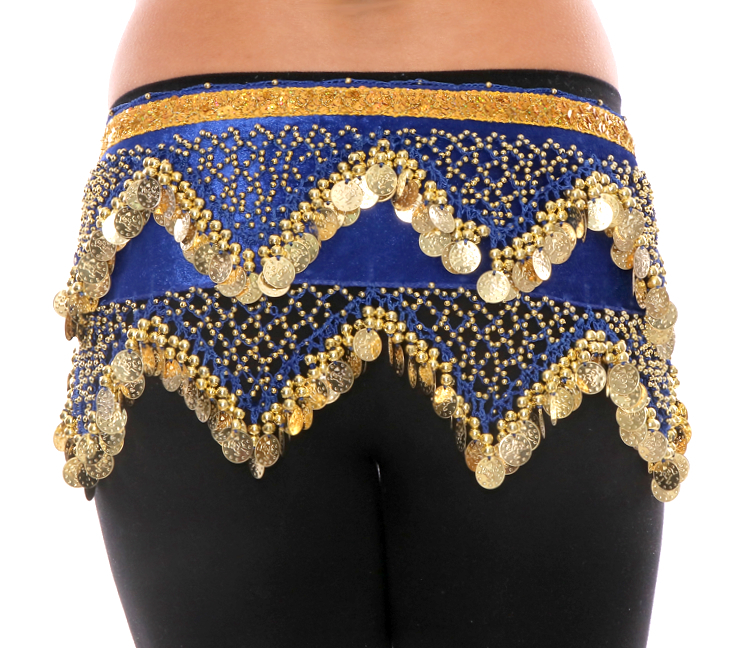 Shimmy in style with this lovely velvet hip scarf for Belly Dance or Zumba class. 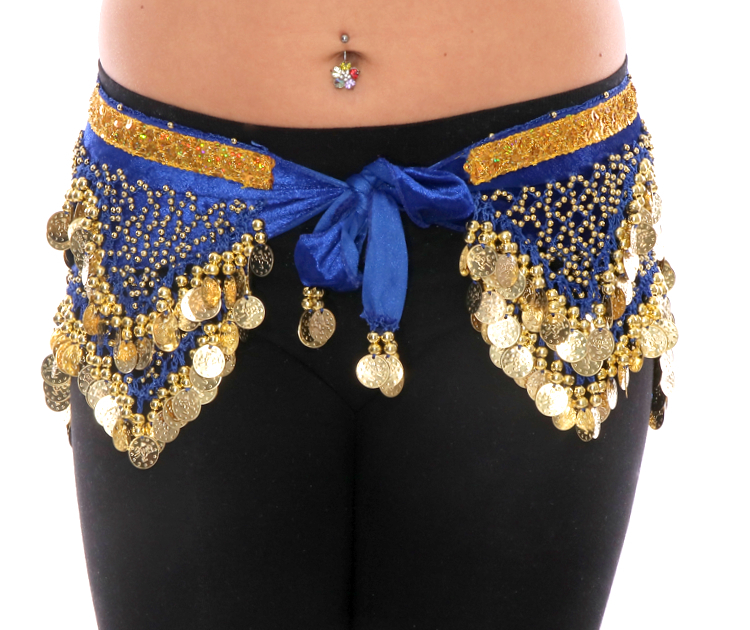 I've been belly dancing for over a year and I finally found a hip scarf I'm in love with. The color is super rich, and the scarf itself isn't heavy at all. The gold coins definitely stand out against the blue velvet.